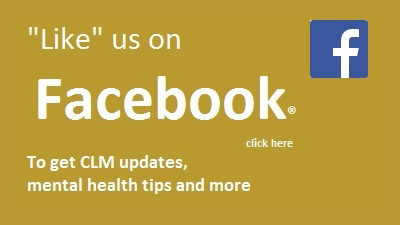 CLM provides a comprehensive complement of mental health and substance use services, psychiatric treatment, acute care, medication services, emergency intervention, and family support services for adults, children, adolescents and families. In addition, we work closely with a variety of regional health and human service providers to ensure that your mental health care is comprehensive, integrated and community-based. Our team of therapists and medical staff work together to provide an integrated approach to mental health and substance use services for our clients. The Child Impact Program provides information to help parents better understand the impact of divorce or custody changes on their children. CLM is proud to participate in New Hampshire’s statewide Community Mental Health Center Military Liaison Initiative. To keep current with CLM’s upcoming Events and Training Opportunities be sure to visit our Events and Training page frequently. Check it out now! You simply call (603) 434-1577 between 8:30am - 5:00pm weekdays and ask for the Intake Department. Our Intake Specialists will gather information about you and schedule your intake with a clinician. If you are calling to make an appointment for an adult friend or family member, have that person with you when you call so we can also talk to him/her. Please bring your insurance card, driver's license or photo ID, insurance co-pay, if it applies, and a list of any current medications that you are taking. If you have recently been discharged from the hospital please bring your discharge paperwork with you also. We ask that you arrive approximately 15 minutes early to complete some initial paperwork. You will meet with a therapist for approximately an hour for an intake appointment. He/she will gather a detailed history, try to understand your needs and work with you to develop a treatment plan you feel will provide you with your desired outcomes.